Modern businesses are connected! 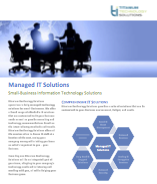 Download our white paper and see how we can grow your business through technology. We are experts in business technology solutions! Whether you need a wireless or wired network solutions, contact us today and let Titanium Technology Solutions help you grow your business through technology. 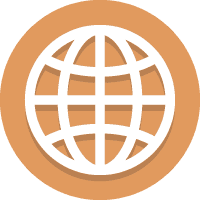 We provide the technology networking your businesses needs to run. Through a hybrid set of services, Titanium Technology Solutions can design a high-tech and affordable networking solution to help your business perform it's daily tasks and to help your business grow! Today, no business can survive without a reliable technology network. Whether it's one computer or dozens of workstations, your business relies on a continuous and secure connection to preform it's work. Business networking solutions can provide the technology medium that your business needs to do its business securely and reliably. Business networking solutions from Titanium Technology Solutions can provide the technology your company needs to grow! Our solutions guarantee that your business will have the technology it needs to succeed. High-speed networking will increase productivity and efficiency within your organization and allow you to focus on what matters most to you, your business! Business Networking solutions from Titanium Technology Solutions will allow your company to focus more on it's business and less on it's technology. The modern business is dynamic! Laptops, workstations, tablets, mobile devices, and other wireless peripherals all need to be connected. 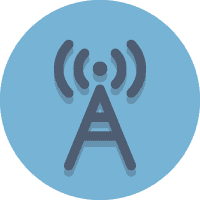 While Wireless networks are an expected form of communications among your employees and customers, they are often insecure and unreliable. Wireless networking solutions from Titanium Technology Solutions provide the security and reliability of a wired network with the convenience of wireless. Most businesses need an combination of wired and wireless access points to perform their work. A company may need wireless access for their customers and employee's wireless devices, with the speed and reliability of a wired network on their primary workstations. Technology Solutions Architects are experts in designing networking solutions that fits your company! Contact us today and let us design a solution for your business!